Slim shape makes them perfect for confined areas. Durable and crack resistant they can be used indoors or outdoors. 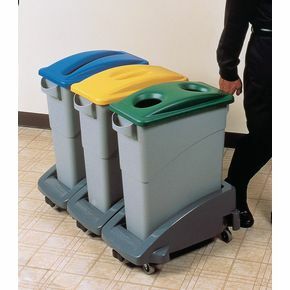 Optional trolley for strain-free collection and movement of bins. Coloured lids to encourage waste segregation. Capacity, larger bins 87 litres and smaller bins 60.5 litres.